Students receive numbers and blank tree to work with. 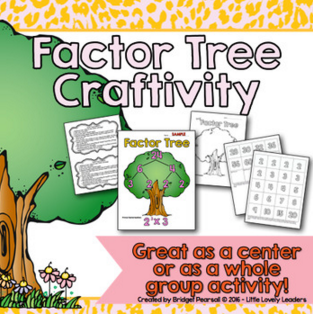 They choose numbers that will correctly create a factor tree. For students who need help, you can choose the large number they are working with for the tree. For higher level students, tell them to be creative and make more than one tree and record them on paper to turn in. Maybe challenge them to make as many trees as possible. To make this a craftivity, have students color their tree and glue their numbers down. At the bottom, the students will put the prime factorization of their number once they are done with their tree. 2. 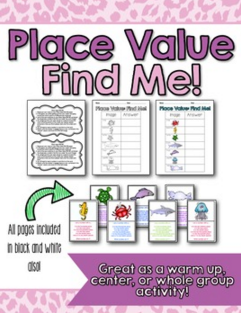 Place Value: Find Me! Place the clues all around your room and give the students the recording sheet (also given in black and white for easy copying). The students walk around and find the clues. They then record their answers on their recording sheet. Once they find all of their clues, they are finished! 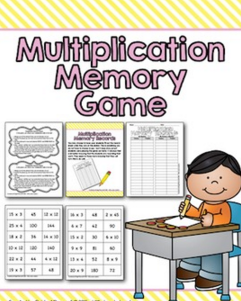 There are teacher cards (pink in the below images) and student cards (orange in the below images) for each of the 4 games included (multiplication, division, addition, and subtraction). The students place the answer cards on their board wherever they want to. 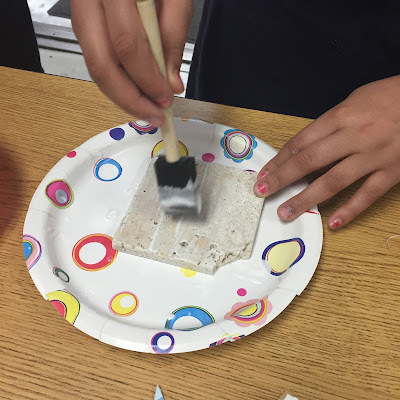 I have my students glue them down. Then, you call out the expressions and they can mark off the answer on their board. We don't use letters at the top, because that would just never end up in a winning game and would take forever! Once a students gets 5 in a row in a line (however you specifiy - diagonal, horizontal, vertical, etc.) or something fun like 4 corners, etc. then you have a winner! They tell their answers to make sure they covered only ones you called out, and then if they are correct - they WIN! Students create the caterpillar using the tracing pieces given in the pack. They then label the pieces with the short hand, trick version to help with the metric system (King Henry, Died, Unusually, Drinking, Chocolate, Milk -OR- Kilo, Hecto, Deka, Unit, Deci, Centi, Milli). 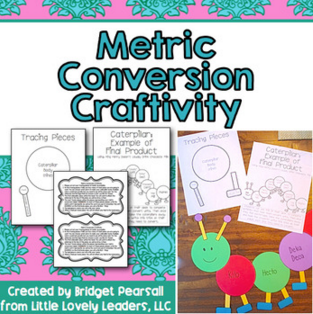 I have students create this on the first day we learn the metric system. Then they use it to help them convert for the first day or two. After that, I try to have them convert without the help of the caterpillar. Cards and recording sheet given in the pack. I suggest printing the cards on colored copy paper so that the students cannot see through them. The students play memory, as they normally would, and then they record their expressions and answers on their recording sheet, as well as those of their partners. 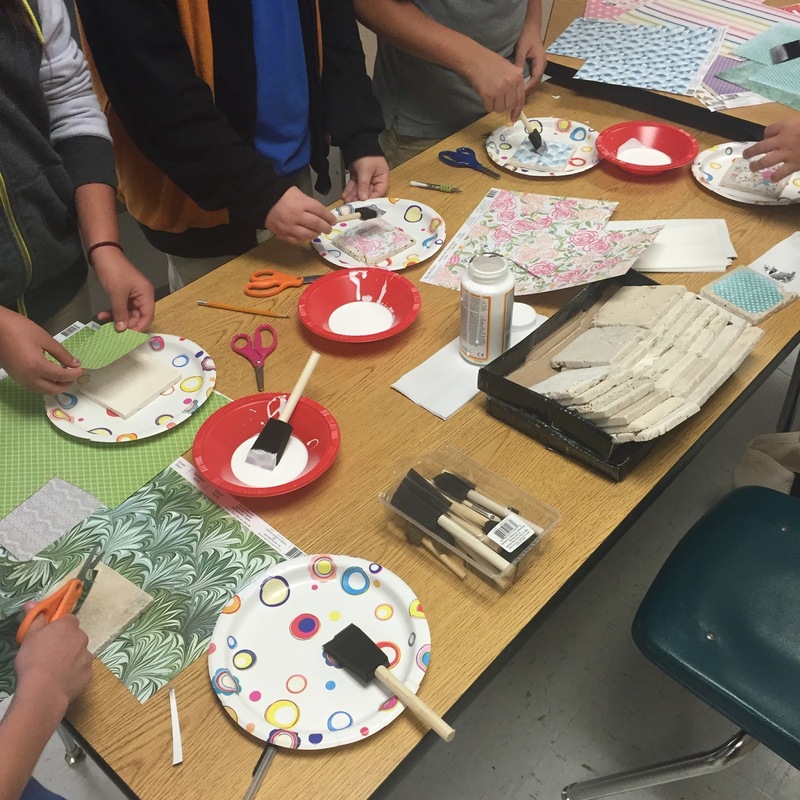 This makes the students responsible for their own work, as well as accountable for the work of their partner. The student with the most matches at the end is the winner! I may have mentioned being slightly Type A in my last post...well...that part of me is at it again! This document is a PPT (Power Point) file, so you can edit it however you'd like to suit your needs! The print outs come in 3 different formats; however, they basically all do the same thing, it just depends on how you want to organize your centers - by standard and subject, just by standard, or by the week for your plans. 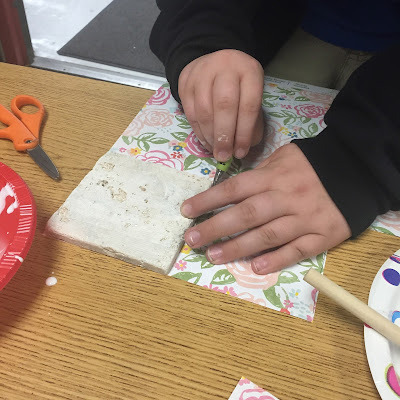 I seem to always forget what activities, craftivities, and games I have for each standard I teach. I teach a skill, and then stumble upon this great center I have AFTER I taught it and moved on...SO ANNOYING! Now that I have these papers, I can refer to them every time I teach a new standard and then I can get the center/game ready ahead of time! 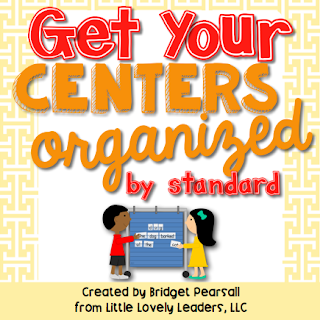 If you organize you centers by standard, you simply fill in the chart with the standard, the skill/concept, and the center/activity description. You can also use the same form for organizing it, except one form has a subject line. If you teach all subjects, it may be helpful to have different papers for each standard. The last paper allows you to write out your centers for the week. This is helpful for those of you working at schools that require centers on some days or require to see them in your plans. 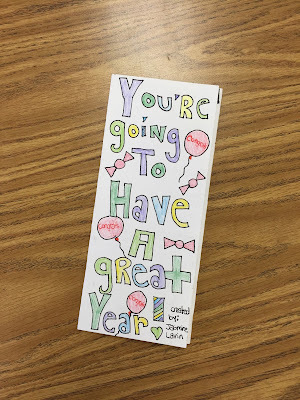 Just like I love the end of the year brochure made by my students, I love the beginning of the year one, as well! 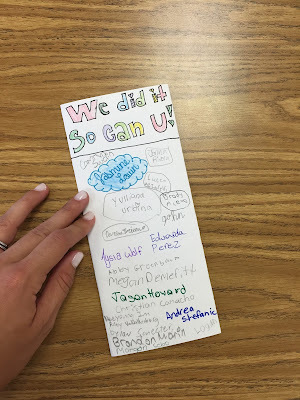 This brochure lets me get to know my students better, as well as see their level of effort. I tell my students the first day of school that this is their way to show me how much effort they put into their work. I love to compare these to the ones they do at the end of the year to show their improvement! Everyone loves mad libs! This is a great way to review parts of speech early on in the school year! There are many question on this inventory that help me to get to know my students on a deeper, personal level academically. 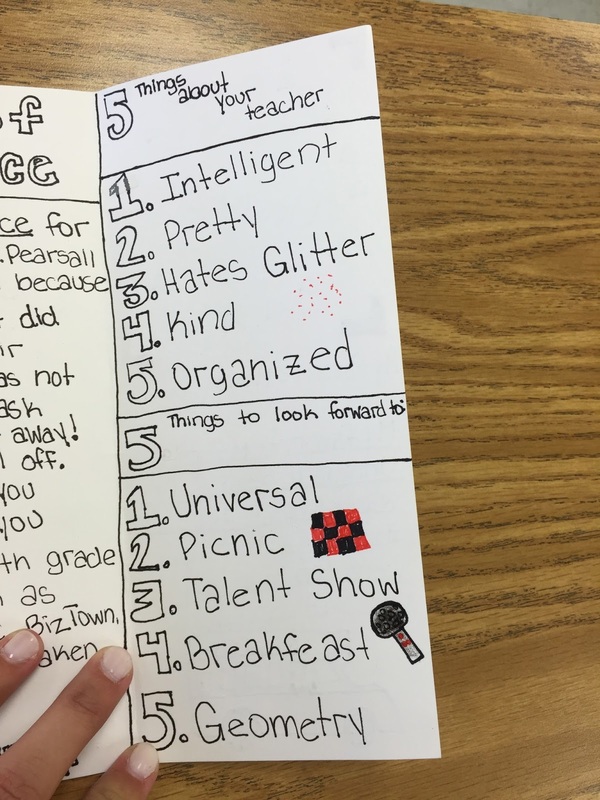 They share things about school (their likes, dislikes, strengths, weaknesses) that I don't think they would share if asked aloud or in person. This photo below shows you my favorite part of the inventory - I find this section the most useful! It's always funny how honest they are! As a Leader In Me school, we are big on goal setting. This is a great, easy way to goal set for something academics related because once the students color them, you can laminate them and the students can keep them all year long! They can keep checking back at their goal if necessary. I like to require them to make a reading goal here, this way the bookmark is usually out on their desk somewhere in their novel during that subject area where their goal applies. I can ask them to refer to their goal when necessary. 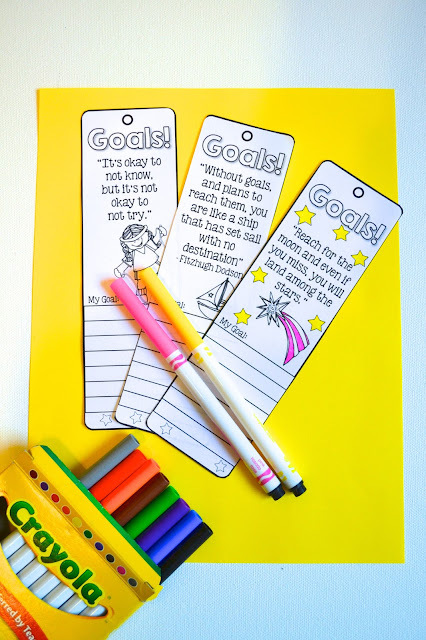 *Side note: The goals bookmarks go really well with the application from the end of the year pack (in previous blog post). 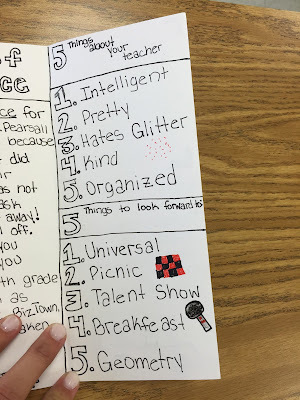 If your students from last year filled out the application, they can look back at it to see what their goals should be for the new school year. I love pairing these ideas together. It makes for great discussion! 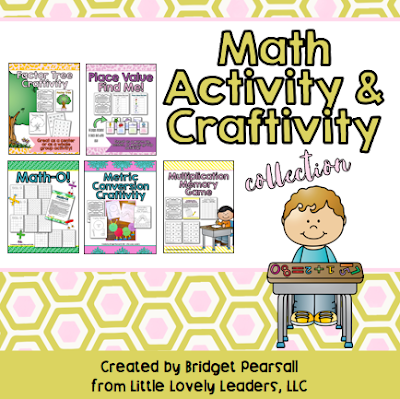 I hope you find these activities useful! Let me know if you have any questions! Who loves the end of the school year!? 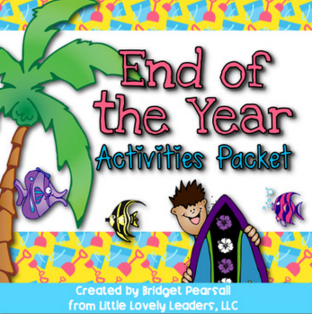 I compiled a bunch of my favorite things to do at the end of the school year into one pack, available in my Teachers Pay Teachers store if you click HERE or the photo below. 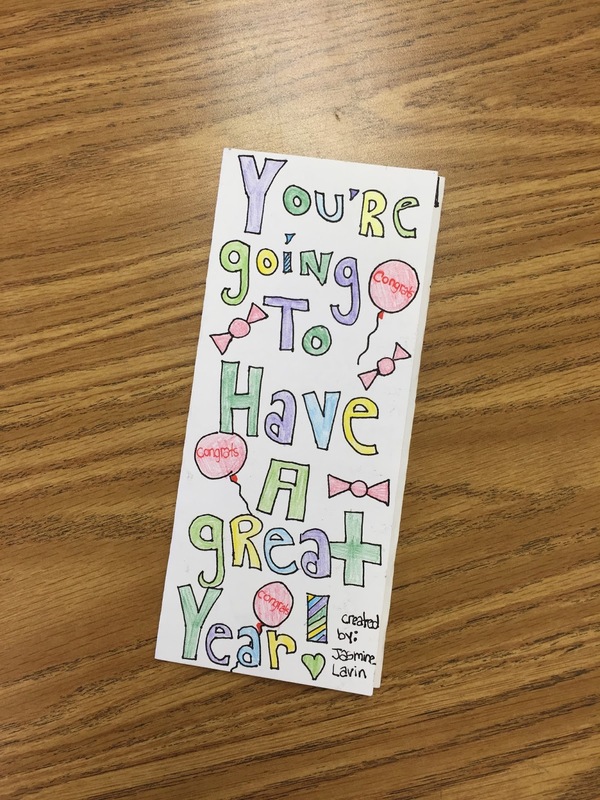 One of the most fun parts of the end of the year pack is the brochure I have my students make for me for the following year. I feel like that sentence doesn't make sense...let me explain it another way - your current year students create brochures that you will give your students of the following, new school year. In the pack, you will see a print out that you can just copy front/back for your kids with everything they need in their brochure outlined and ready. I decided to have my kids follow the format by putting it under the document camera in my room, but I did not let them use the printable copy. I wanted them to get creative, but still follow the outlined format I wanted so that all of the brochures ended up similar and with the same content included. See more photos below! 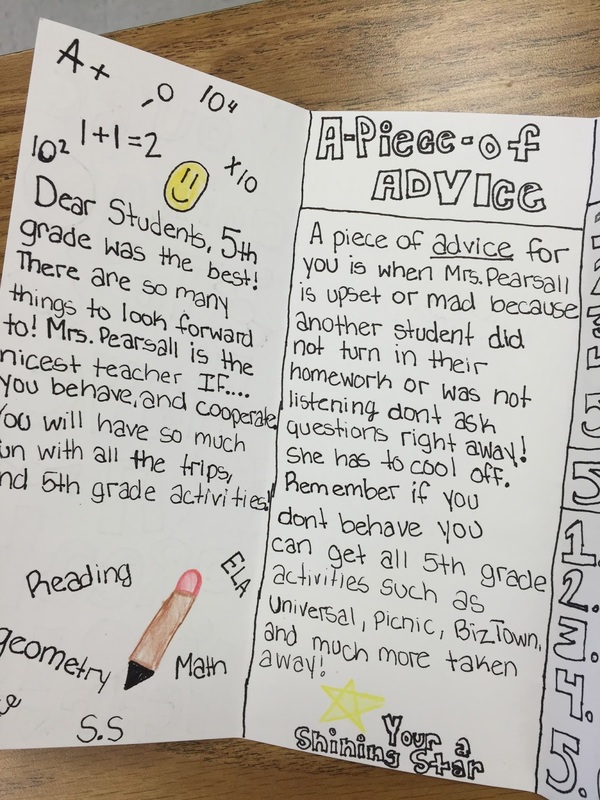 Students write a letter to the student of the next year, as well as giving them a piece of advice. 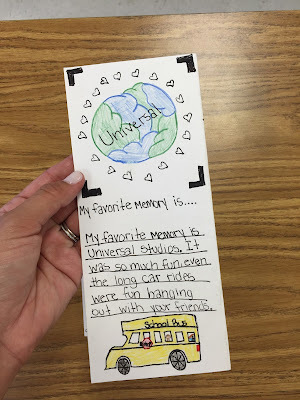 Students explain their favorite memory from the school year so that your new students can be excited for that event! Below: Students tell the new students 5 things about YOU (their teacher) and 5 things to look forward to in your grade level. 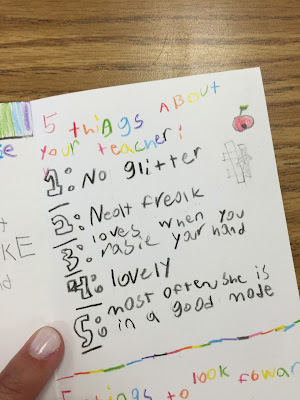 You'll see that my students all think very similar things about me, haha! I am in a good mood often...but not all the time? I guess that's fair! At the very end, the students all sign the back of everyone's brochure. This is a full class signature page! I just have them all put their brochure upside-down on their desk and then we rotate with music and sign everyone's brochure. Super fun! The little tags and the time capsule printable come in the pack. We also add pictures throughout the year that we took when we did activities (I print them at CVS) and any other memories we want to add in. We roll everything up and stick it in a toilet paper roll, wrap it in our favorite wrapping paper, and tie it up! Add the tag with the proper year and you're all set! They come out super cute! I have students fill out their application to go to the next grade level. When I lived in Charleston, we actually passed these to the next grade level; however, in FL the schools were just so large that it would have been nearly impossible to do this. Now, I use this as a last ELA grade - grading them on their grammar, capitalization, spelling, etc. The same things you would pay attention to on any application for a job. These are so fun! 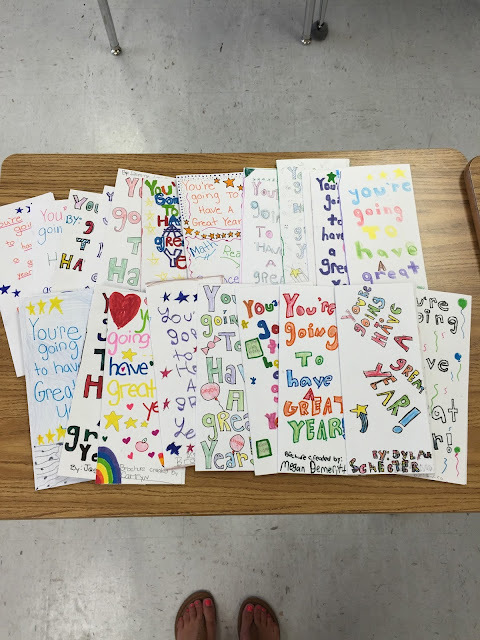 The students pick their favorite memory from the year and put it to a comic strip! 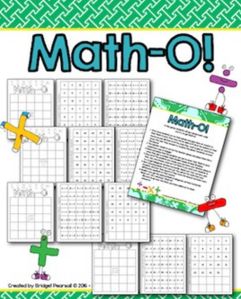 These also make great ELA grades if you need some for the end of the year (does anyone else have trouble getting grades at the end of the year!?). 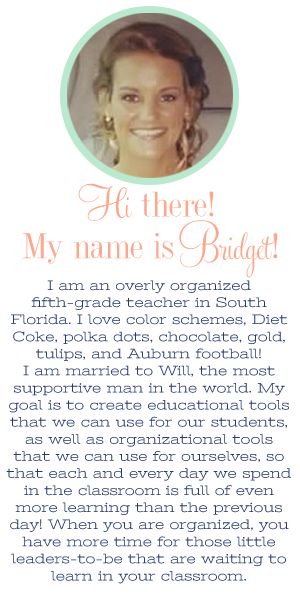 I also love making a book out of these and putting it out at "meet the teacher" night (some of you call it "open house") for the new school year! 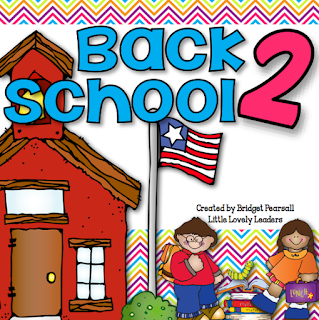 The new parents love to look through it and see how much fun their kids will have in the coming school year. 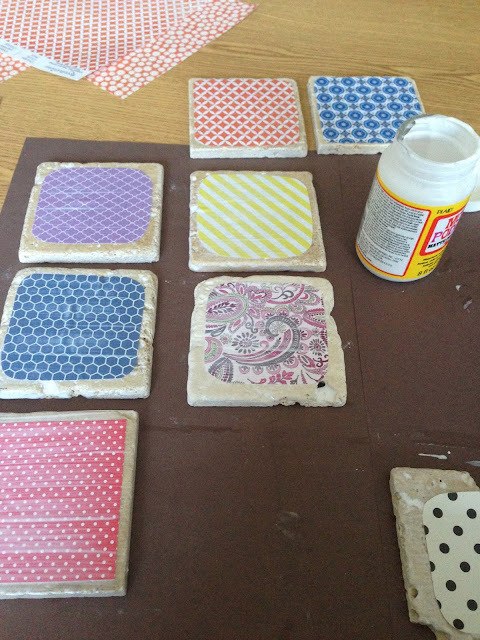 Coasters for mom, or any other mother in your life, for Mother's Day! Everyone uses coasters! Right!? I love useful gifts because that means parents will keep them out all year long. Memories of gifts your kids give you are the best kind, and kids love when their gifts don't get put away and never seen again. These also only take about 20 minutes to make and package! Start with little bathroom tiles from Home Depot. 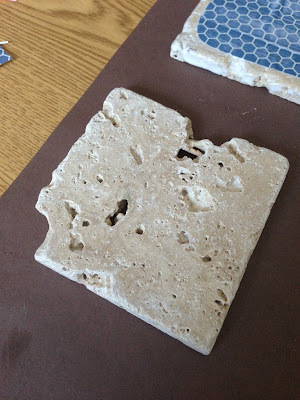 I get the most porous looking tiles, so they absorb the mod podge really well! 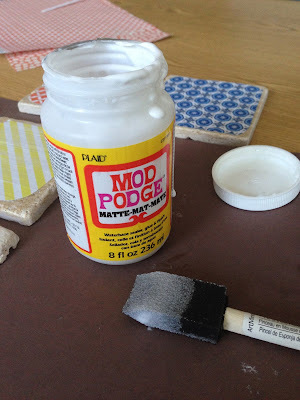 You will need lots of mod podge and foam brushes! Have the students choose their scrapbook paper pattern. I buy a lot in advance and let the kids choose what they think their mom would like. Maybe they want to match her house or maybe they know her favorite color? Whatever they want! They use the tile to guide them, and cut the square (or whatever shape they want, really!). It is very important that they cut the square SMALLER than the actual size of the tile. If the edges of the paper go right to the end of the tile, the mod podge won't hold it and they will peel up. 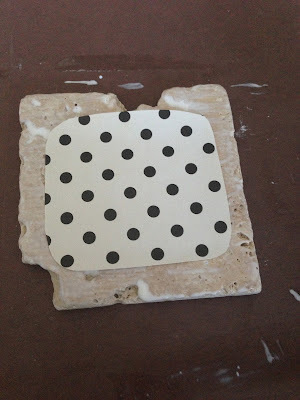 Place your paper down and then do another thick layer of mod podge over that. 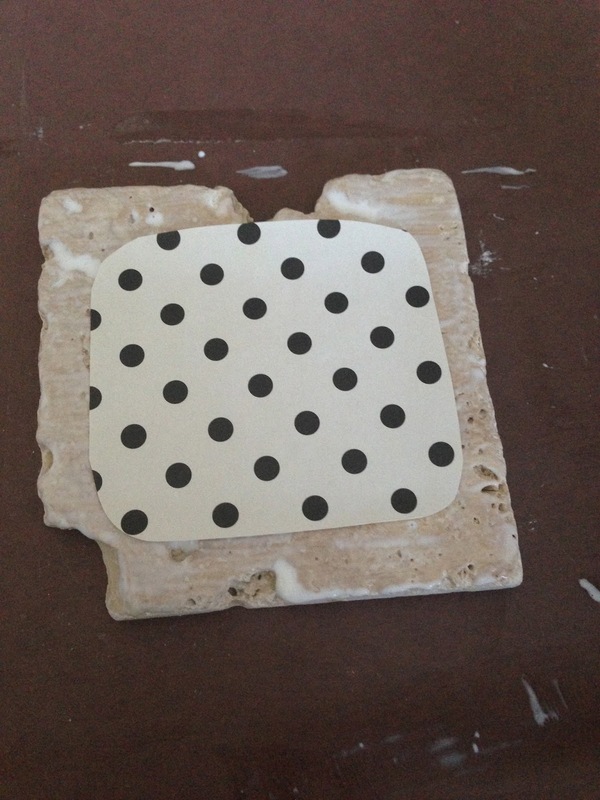 Yes, the mod podge will look a bit white, but it dries clear. Make sure not to leave any "goop" - spread it all around! As you can see, some student got creative and did multi-layers with the hearts. They came out so good!! 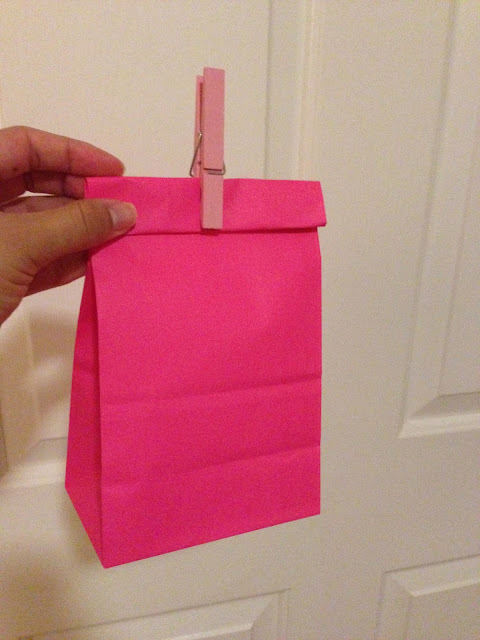 Wrap it up in a simple, colored lunch bag from the craft store and a clothespin. We later made cards for mom and clipped them in the clothespin, as well! 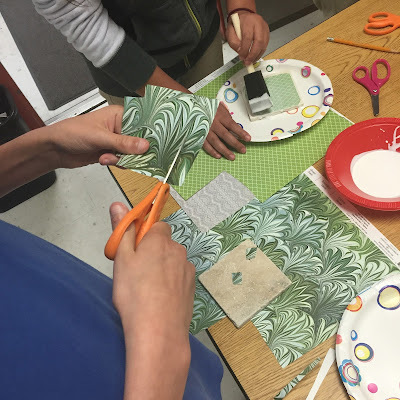 Here's a look at the table where the students were making their coasters - They were all given directions at once, and then while they were working on a math assignment, I called them out in small groups to the hallway to do their coaster. So, you may see that the kids below are working on different stages of making their coaster. As one student finished, I called out another student, and so on.